The Coldplay frontman has not been able to forget the moment when one of his songs was described as ‘awful’ by Beyonce. The 34-year-old joined the British band for the half-time Super Bowl show on Feb 7Th, 2016, Sunday. 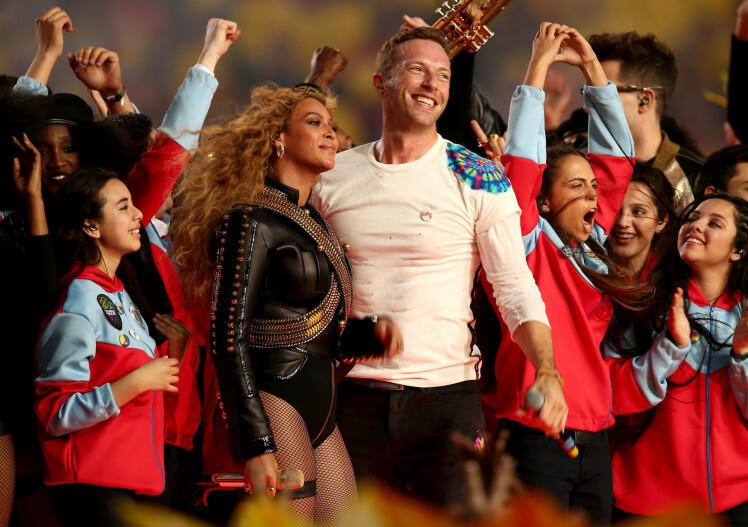 Chris Martin, Beyonce and Bruno Mars all teamed up for performing an all-star sing-along. Even though Beyonce and Chris have been friends for a long time, the latter admitted that the former wasn’t exactly a fan of his music. The 38-year-old recalled the moment when he had presented Beyonce and Stargate, her producer, with a song called Hook Up and she had simply turned it down. The Brit said that the Beyonce had termed the song ‘awful’. The singer also confessed that she wasn’t the only big artist to turn down his music. In fact, the late Bowie had also declined to perform a duet with the Brit in 2014. During a tribute piece Martin made for the rock icon, he said that he had asked Bowie to sing a song, but the latter had refused by saying ‘it wasn’t his best’. Apart from that, the Coldplay star also shed some light on his divorce with Gwyneth Paltrow, who is mother to his two kids, Apple and Moses. He said that their separation was quite amicable. His ex-wife and kids were both present to cheer the singer on from a luxury box at the Super Bowl for his performance at the Levi’s Stadium in Santa Clara, California.